The publication of Thomas Piketty’s Capital in the Twenty-First Century in 2013 supercharged the debate on income inequality. As leaders from Pope Francis to Barack Obama have proclaimed, growing inequality is the defining issue of our time. Such inequality is bound to get worse. Not only are the rich seemingly getting richer and the poor poorer, but middle-income earners appear to be gradually disappearing. Studies in both the US and Europe have shown the middle family income to be decreasing, even though the economy has been steadily growing. But this is not the only form of inequality: income inequality often leads directly to social inequality. For instance, richer people are found to be living longer than those who have less. And then there is age inequality, as many young people have been sidelined and are not necessarily benefiting from what societies offer. In Europe, some 22% of people aged between 15 and 24 are not in employment, education or training. In the US, the unemployment rate of this group stands at 16%. This is the result of both fiercely competitive job markets and the rigidity of labour markets that tend to favour those who already have jobs. Even for those youths who are lucky enough to find employment, spiralling housing costs have already made it impossible for many of them to get onto the property ladder – unless their parents come to the rescue. Instead of caring about their predicaments, we are often more concerned with understanding how these ‘millennials’ think. Governments are more interested in knowing how to harness social media to get their attention, while businesses want to sell to them better. Income, social and age inequalities are all horrible. Sadly, however, it doesn’t end here. There is a strong case to be made for a less obvious type of inequality: capital inequality. Capital inequality refers to how the preference for debt over share equity – in Europe, at least – has made things worse. Let’s look first at the favourable tax treatment given to borrowing. Anyone who has basic accounting training will know that a company pays out its gains from selling things in the following order: interest, taxes and then profit to the owners. This means that businesses pay lenders before taxes, and shareholders only after these. So what difference does it make? Under this scheme, governments are giving tax benefits to companies for borrowing, effectively encouraging them to pile up debt recklessly – this is partially why The Economist calls it “a senseless subsidy”. At the same time, such distortion simply cheapens the cost of borrowing, providing yet more incentive to do so. Since it was cheap to borrow money, banks took on an enormous amount of debt to finance expansion before the financial crisis of 2008. The problem with the heavy use of debt is that it weakens banks’ abilities to absorb losses in business downturns. That’s why, after 2008, governments had to repeatedly inject capital into banks to prevent them from collapsing and ensure their economic survival. So, how does this lead to further inequality? Governments are using taxpayers’ money to serve the interests of investors in banks, effectively transferring public funds to capital holders. And governments often have no choice but to bail banks out, simply because the fall of one bank could set off a chain reaction that could decimate the fundamentals of our economy. From bank investors’ perspectives, their money is, to a large extent, backed up, if not safeguarded, by taxpayers’ money. Paying interest before taxes represents a loss of income to governments. 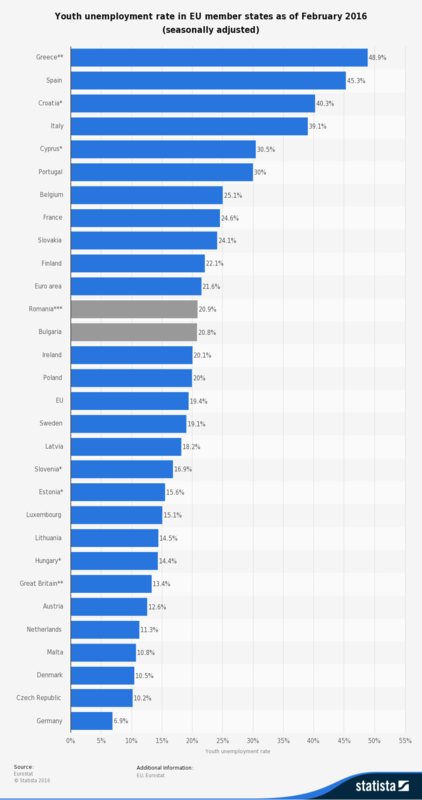 In 2007, the annual value of the forgone tax revenues in Europe was around 3% of GDP (US$510 billion). In the US, the loss was equivalent to almost 5% of GDP (US$725 billion). To put this into context, Britain and the Eurozone spent more on this “senseless subsidy” than on defence. Without abolishing this rule, the loss in tax incomes will continue. Yet, in the wake of the financial crisis, governments in various countries chose to boost their coffers by raising VAT and cutting back on personal income tax benefits. It seems that they would rather punish taxpayers to keep benefiting borrowing companies. Despite all this, the current tax rules remain clearly in favour of debt over shares: lenders pay taxes only once on their gains in the interest received. Shareholders, by contrast, have to pay taxes three times – first corporate taxes, then tax on dividends received, and then again on capital gains. Europe’s preference for debt over shares is doing its economy a great disservice by not promoting the right dynamics for new business creation. By nature, lenders only have to worry about covering the downside risk (i.e. bankruptcy); they just need to be concerned about interest being paid and loans repaid. Whether or not the borrowers succeed with their businesses does not matter to the lenders. By contrast, shareholders would lose their money if things went wrong. Yet, what attracts these shareholders to invest in the first place is the potentially unlimited upside gain. This comparison may sound prosaic, but the consequences are rather profound. This “inequality of mood” is important for promoting a more entrepreneurial and innovation-driven economy, as such an economy requires investors to be risk-taking and potential losses to be spread among investors. Risk capital is a key source of funding for the realisation of novel technologies and ideas. As long as a broader set of European investors don’t lose their aversion to risk capital and create more funds available for early-stage companies, it is unlikely that Europe will be able to sufficiently grow existing dynamic start-up hubs like London, Berlin and Stockholm, or meaningfully support entrepreneurship in many other cities across the continent, according to Philippe Cerf, a managing director looking after the technology, media and telecommunications practice of Credit Suisse. So it makes sense to get more money into the hands of entrepreneurs and SMEs. Instead of distributing capital through banks, far more wealth can be created by connecting investors directly with individual businesses. An obsession with bank financing means banks would continue to monopolise access to capital and use taxpayers’ money to clean up their own balance sheets instead of lending it out to SMEs to boost economic and business activities. Distribute capital from the top, and it will likely remain there! Taking a small step to change could lead to a big impact. For instance, encouraging the financial services sector to be less debt-laden could bring many benefits to society. Capping the deductibility in the banking industry once certain levels of debt are reached would be far better and cheaper than implementing tens of thousands of pages of new regulations that, in our experience, would open up a lot of unintended consequences. Redressing the debt–share imbalance therefore makes good business sense. It would help the economy avoid the boom and bust cycle caused by the banks – one root cause of every major crisis has always been excessive debt carried by the banking industry. In addition to making our capitalist economies more stable, it would make them more popular, as it would help create more and better paid jobs. It would also make the environments more SME-focused and friendly, and would help boost entrepreneurial spirit and reignite the belief in a better future that prompts people to start from scratch. Amy Bernstein and Anand Raman , “The Great Decoupling: an Interview with Erik Brynjolfsson and Andrew McAfee”, Harvard Business Review (June 2015); Maarten Goos, Alan Manning and Anna Salomons, “Explaining Job Polarization: Routine-Biased Technological Change and Offshoring”, American Economic Review 104 (8) (2014): 2509–26. Barry P. Bosworth and Kathleen Burke, Differential Mortality and Retirement Benefits in the Health and Retirement Study (Brookings Institute, 2014). Terence Tse and Mark Esposito, “Youth Unemployment could Wreck Europe’s Economic Recovery”, The Guardian , November 14, 2013, http://www.theguardian.com/commentisfree/2013/nov/14/youth-unemployment-wreck-europe-economic-recovery. “A Senseless Subsidy”, The Economist , May 16, 2015. A recent study shows that more lenient corporate tax treatment of debt leads to banks using more debt for financing. See Ruud A. de Mooij and Micheal Keen, “Debt, taxes and banks”, Journal of Money, Credit and Banking 48 (1) (2016): 5–33. “The Great Distortion”, The Economist , May 16, 2015. Bay Area Economic Council, “Technology Works: High-Tech Employment and Wages in the United States”, a Bay Area Council Economic Institute report commissioned by Engine Advocacy, December 2012.